M. B. Kahn welcomed 15 students on Monday, May 8th at our Summer Internship Orientation. Five of the participants are returning for their second year in the Program. The students participating in our Internship Program will be placed on various projects throughout the state and at our Corporate Office in Columbia, South Carolina. The participants will gain valuable knowledge from hands on learning and will return to school with a further understanding, advanced training, skills, and an appreciation for our valued construction trade. Some of the trade skills the students will focus on during their internships include: various project management tasks from pre-construction to job closeout, reading drawings, contract documentation, preparation of Request for Information (RFI) and Architect Supplemental Instructions (ASI) documentation, instrument reading (e.g. total station), surveying, familiarity with on-site equipment, and carpentry skills. 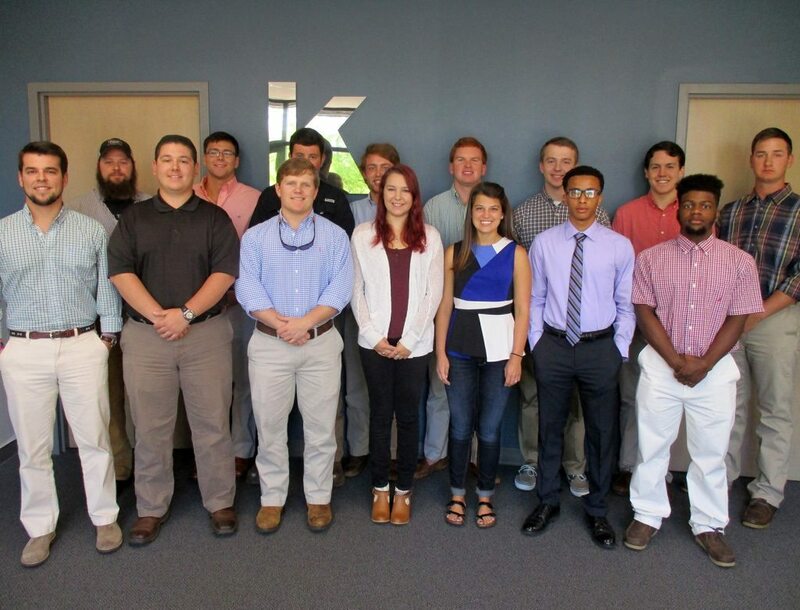 The student participants from this year’s Summer Intern Program are currently enrolled in Construction Science or a related field at the following schools: Clemson University, Coastal Carolina University, Midlands Technical College, The Citadel, and the University of South Carolina – Aiken. M. B. Kahn has a history of hiring current and former Internship Program employees for full-time positions. There are currently numerous M. B. Kahn employees who completed one or more years in our Summer Internship Program. Many employees have successfully transitioned and/or have been promoted to positions such as Superintendents, Field Engineers, or Project Managers. M. B. Kahn employees work as a team and many develop long-term careers with the company. In fact, 140 employees have been with our organization for more than ten years.